There comes a time that you’ll start to feel like you want to take your baby for their first haircut. However you look at it, it’s an emotional day for us as parents because it’s such a big step toward toddlerhood. 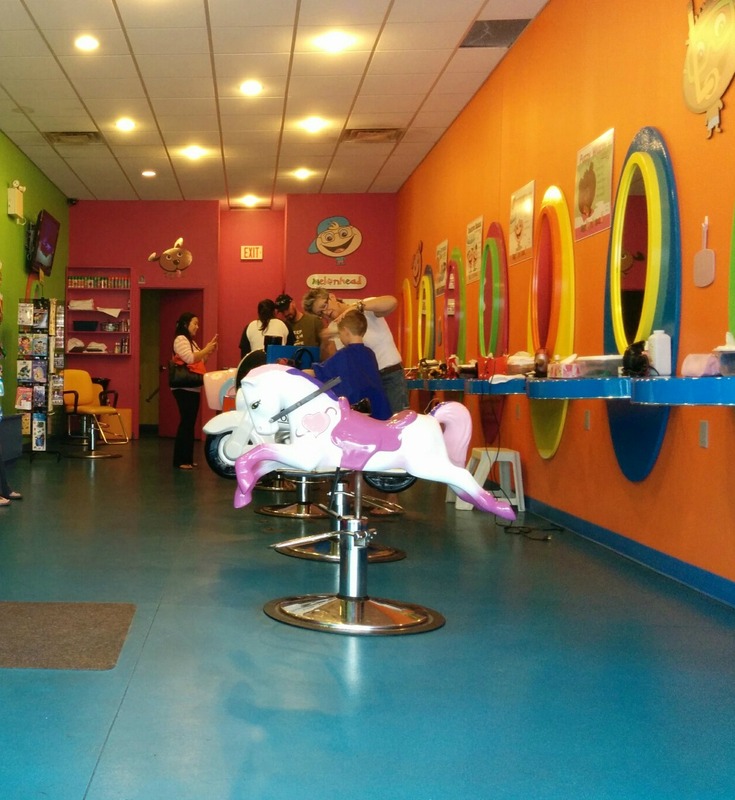 For a first time haircut, Melonhead is a fun salon to consider because it specializes in kid’s haircuts. The whole space is decorated top to bottom with bright colours and has themed seats for baby to sit in while having their hair done. Best of all, your little one gets to choose if they would like to sit in an airplane, train, car or horse. All the elements are here for any mom looking to make a special occasion out of this opportunity. 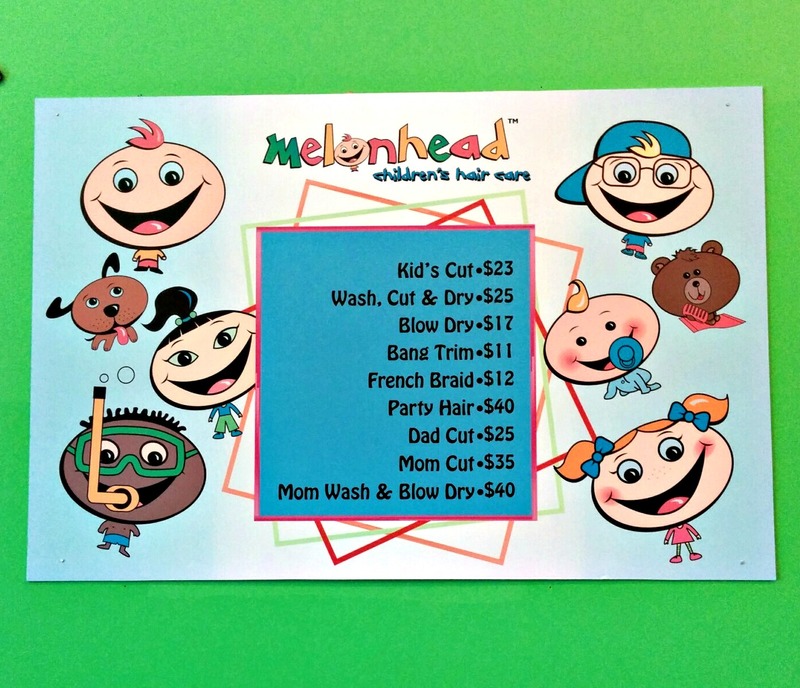 After the haircut is done, Melonhead staff provide you with a first-time-haircut certificate, “after” photo and a clipping of your little one’s hair. There is only one Melonhead location in the Durham region, in Whitby. The salon is located at 3930 Brock Street North, close to Brock and Taunton. Cost: In total, you can expect to pay $23 + tips + tax. More information about locations, hours and services are available on the Melonhead website. This place is excellent! We went for our sons first hair cut and they were fast, friendly, and cut his hair well. Luke wanted Thomas the Train seat and it became an exciting adventure. The second time we had his hair cut we used a family friend…and four people to distract him/hold his head. The price might seem high to some people but it is well worth the lack of hassle.